A Parisian businesswoman is leading the way forward in sustainability – and showing women how they can have an empty suitcase and wear the latest fashions. There are a number of changes sweeping Paris and sustainability in all areas including fashion is one of them. French women have always worn designer clothing, but many are now quietly choosing to rent them – who would have thought? 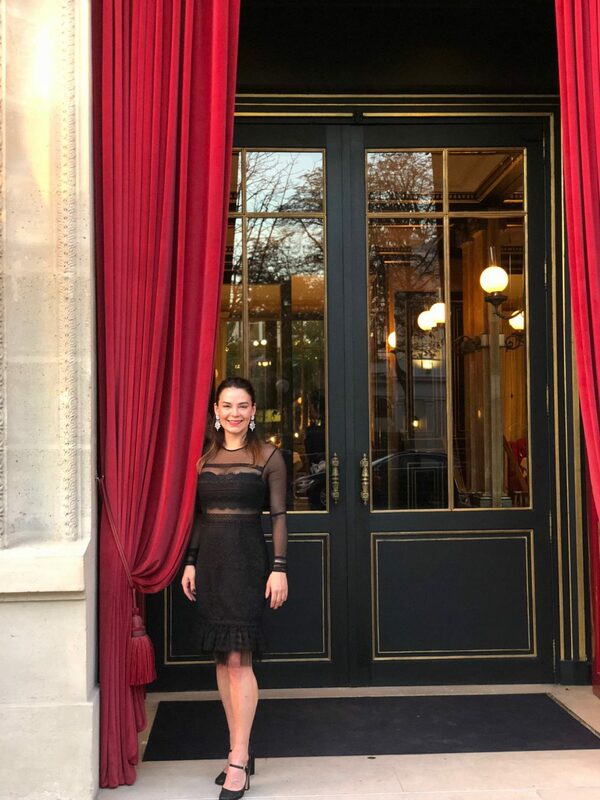 Renae Leith-Manos in Paris wearing head to toe designer garments from The Daily Dressing. 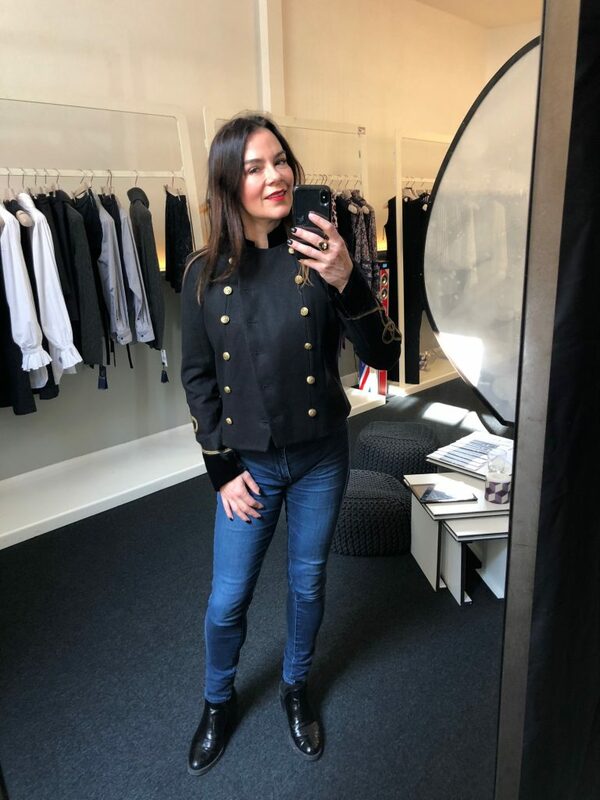 The Daily Dressing is the brain child of Pascale Guasp, a former high flying consultant who wanted to stop travelling the world working in a global business and start something closer to home. She launched her business four years ago, and French women cannot get enough. 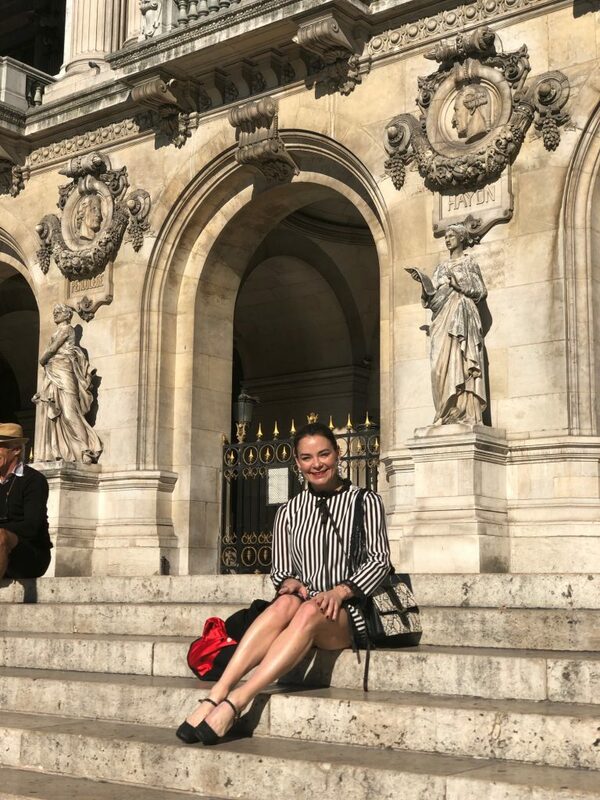 Parisian women sign up to her business for 90 Euro a month and can access the very latest and most expensive French, Italian, American, and English designer pieces – and they’re delivered freshly dry cleaned and pressed each week. 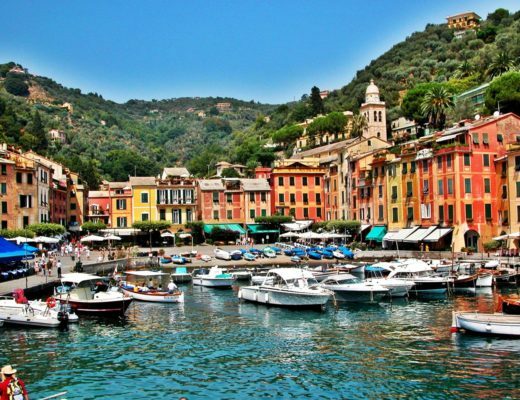 And for travellers, her ‘empty suitcase program’ means they can select their garments online and have them waiting at their hotel upon arrival – or go to her studio and try them on and leave with a suitcase brimming with gorgeous designer clothing that fits them perfectly. Renae Leith-Manos with Pascale Guasp, founder of The Daily Dressing in Paris. The Daily Dressing even collects the garments from the hotel when they leave. So there is absolutely no hassle. A mother of three boys, Pascale was a partner in an international consulting firm for 20 years and her specialty was energy. Her new career and business could not be more different. “I believe it’s important in your life to change something, whether that be your husband, or your job,” she teases. Renae Leith-Manos in the studio of The Daily Dressing in Paris. “Being a consultant was very interesting but it was just advisory, I didn’t get to get in there and change things. I wanted to be on the ground & develop something new. “I worked in the US, Singapore, a lot in Chicago actually. Consulting is an incredible education. My former colleagues are proud, and it shows the skills I learned in consulting can be used and can be very valuable. As an added bonus, The Daily Dressing clients can purchase items from the range at the end of the season at up to 50% of the price.